MOBA’s are a strange thing. They are hard to learn, difficult to master, yet, they remain mindlessly addictive. 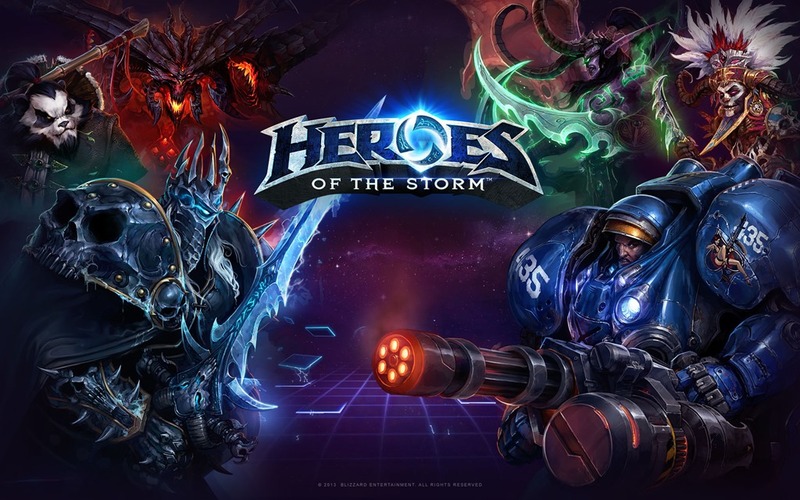 I do personally think the market is on its way to being saturated with maybe just a few too many extra offerings being developed, but Heroes of the Storm is one in particular entry in the genre that I cant wait to get some hands on time with. Blizzard are pretty well known for their formula; easy to learn, hard to master. I’m interested to see their approach with Heroes of the Storm, because by nature, MOBA’s genuinely are assholes in the learning curve department. It can take weeks, or even months just to grasp the nature of the game and understand just a few of its intricacies. Even with years and years of play, I’m still constantly learning new things in Dota 2. Heroes of the Storm, if correctly implemented with Blizzards formula, should be user friendly enough for newcomers to not just write the game and genre off. They’ve taken an interesting approach really, with the game having shared experience and no item shop at all for example. I think the latter is one of the factors that scares people the most; deciding just what the hell to buy and figuring out what item synergises well and benefits the character the most. Instead of having to worry about items, players get to customise their hero abilities. Each hero has core skills, but these can be customised with buffs or different effects thanks to the Talent System as the character levels up This is not to say that heroes won’t fall into their specific classes (Assassin, Warrior, Support, and Specialist), but at least the player has the option to customise further depending on what their team needs. In this latest video from Blizzard, they show just how one of their characters, Muradin, can be anything such as a utility stunner, a tough tank, or a badass damage dealer. It looks interesting, as a player can choose just how they should play their hero depending on the situation at hand. One of the most important skills a MOBA player can have is the ability to react to their enemy and their item choice. In the case of Heroes of the Storm, Blizzard are currently looking for ways to implement a system which gives players a view of their enemies talent choices. Blizzard have a pretty darn solid track record, so I’m keen to see how this game turns out. Who are you looking forward to playing as?